Time to put the phones and other electronics down and play some easy lawn games for the whole family! When the sun is shining and birds singing you and the kids will enjoy the time outdoors. These games will entertain the young and the old. So have a family fun night or gather around the neighborhood kids and provide them hours of fun! If you have teens or tweens in your family they would LOVE these Fantastic Summer Bucket Ideas! Some of these games will require a specific set to be bought some are good old fashioned fun that can be played with things you (more than likely) already have. These Pick Up Sticks really are jumbo size. Each wooden stick measures at 31.5 inches! This family outdoor game comes with a case so you can bring it wherever you go. I like that this is easy enough for anyone to play. Just toss the sticks in a pile and start playing. I might be a little biased since this game is from my homeland, Finland, but I’d say it is an awesome backyard game for the whole family. The object of the game is to get to 50 points by knocking down the pins with the throwing pin. You just can’t go past 50 points otherwise you’ll go back down to 25 points. Molkky is about luck and throwing talent. As you knock down the pins, they are raised back up in the spot they landed so they will be further apart as the game progresses. 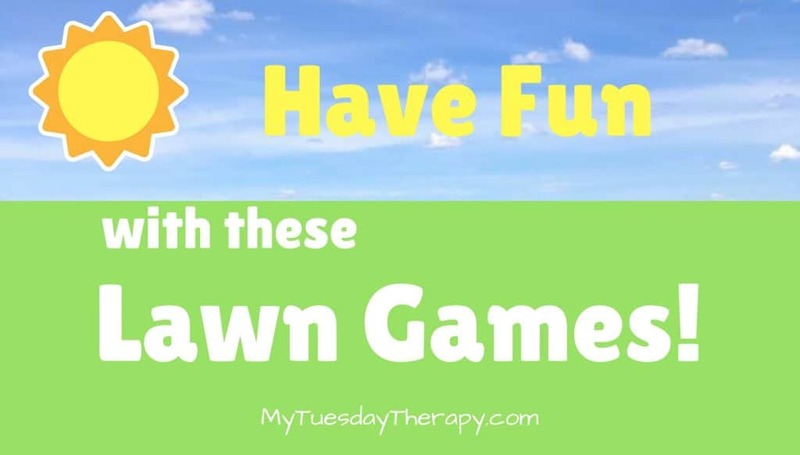 You can have 2-26 players so this lawn game is a fantastic game for a group! This is a great outdoor game for teens to play while chatting with friends. And as a bonus point no toxins are used in producing this fun wooden game. This cool looking Tic Tac Toe game is from Design, Dining, and Diapers via Tater Tots and Jello. Follow to easy instructions and make this fun game for the whole family to enjoy. Kubb from Sweden is a great outdoor game for kids and adults. It won’t take long for you to learn the rules for this strategy-based game. Kubb is a lawn game for 2-12 players. The first team to knock down the King will win but it is not as easy as it looks. You will first need to get through the defense and that can be challenging. This set is made of a good quality hardwood and it comes with a backpack so you can easily store it or bring it along. I love the idea of an obstacle course! We have made obstacle courses but nothing like the one from Frugal Fun 4 Boys. Obstacle courses are easy to adjust for each age level. And you can always add more steps to it for variety and fun. Build the most fantastic obstacle course this summer! Awesome way to spend time together and get some exercise as well! Dominos! Who has not played this game as a smaller version. I thought it was always so cool to line them up and knock them down. Play this classic game outdoors with the giant size game pieces! It includes 28 pieces and is a great activity idea for any outdoor party. Or bring it to your next camping trip. It comes with a hand carrying case. An easy backyard game for the whole family that combines horseshoe, bocce ball and outdoor bowling. Even small kids can play this game at your next picnic or outdoor party. Players roll the disks towards the targets and are awarded points. An entertaining relay game for the young and the old. Get moving and just try to keep the “egg” on the spoon. Not as easy as it looks. This would also be a great game for a backyard birthday party! I used to play corquet as a kid and it was so much fun. But this game is not only for kids. GoSports Premium Croquet Set is another awesome lawn game for the whole family. The 36-inch handles are suitable for everyone and the handles are also wrapped in leather so they are pretty comfortable. The set includes 6 mallets, 6 balls, 9 wickets, and 2 end posts. This classic lawn game provides entertainment that can last hours. You’ll also get a case with this one so it is easy to carry with you. You don’t really need any fancy stuff for these games but they entertain kids of all ages. I don’t think this game needs any explanation but just for fun I’ll write something down. In this came one person is “it”. He closes his eyes and counts to a certain number while the others hide. Then he goes looking for them. For a variety and fun you can have a “home base” or “safe” where the hiders try to get to before found. Players: this game can be played with any number of people. Ages: pretty much anyone who can walk knows how to play this one. Just as a disclaimer: it is not a good idea to have a tiny tot to be an “it” or to hide by himself. A variation of Hide and Seek. One person is “it”. One person from the group kicks the ball and “it” goes to get it (without looking back) while the others hide. When a player is found he goes to the “jail”. Another player can release those in the jail by kicking the ball. You can add a little more difficulty to the game with this variation: when a hider is found he races the “it” to the ball and if he gets there first he kicks the ball (releases those in jail) and can hide again. Ages: Anyone who can understand the rules. One person is the traffic light and the others stand in line far away from him. The object of the game is to tag the traffic light. When the traffic light says Green Light he turns away from the group. This gives the group an opportunity to get closer to the traffic light. Then the traffic light turns around and says Red Light. The others freeze. If the traffic light sees someone moving then that person has to go back to the start line. Once someone tags the traffic light she becomes the next traffic light. I don’t know the official name for this game but again in this one you need a person who is an “it”. You will need “safe” places for all the others. You can use chalk, hula hoops or draw circles in a sand to mark the safes. The players stand in a safe. The “it” calls “change” and everyone has to move to another “safe”. The “it” tries to get to one of the “safes”. If he gets into one then a person who did not get into any of the “safes” is the next “it”. Make Your Selection and Get Ready to Spend Time Outdoors! Find tips for surviving the allergy season and enjoying the beautiful outdoors in the post Best Natural Allergy Remedies.